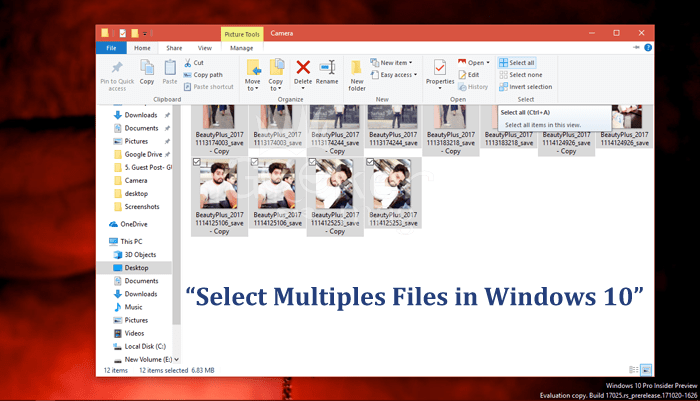 In today’s post, you will find out simple tips on how to select multiple files in Windows 10. If you’re looking for the same thing, then check this post till the last line. While working on the Windows 10 File Explorer, sometimes conditions come that you want to transfer a group of different files from one folder to another in Windows 10. One can this by selecting multiple folders or files at the same time. But the question is how to select multiple files in Windows 10? There are various ways to select multiple files or folders. To select a group of folders or files in Windows File Explorer, just click on the first item in the folder, press the SHIFT key, and then click on the last item. You can also choose a group of folders or files in File Explorer without the help of keyboard. For that, just drag the mouse pointer nearby the outsides of the items which you want to select. In case, you want to choose non-consecutive folders or files, just press CTRL key and then click on each item one by one. Alternatively, you can use checkboxes feature. Simply enable this feature in File Explorer. For that, switch to View tab and tick mark the box for “item check boxes“. After enabling this feature, you will start seeing check boxes for every item. You can also all the files and folders in the particular folder at once. For that, launch the File Explorer by pressing WIN + E. Under Home tab click on the option named as Select all. For the same thing, you can also press CTRL+A keyboard keys. 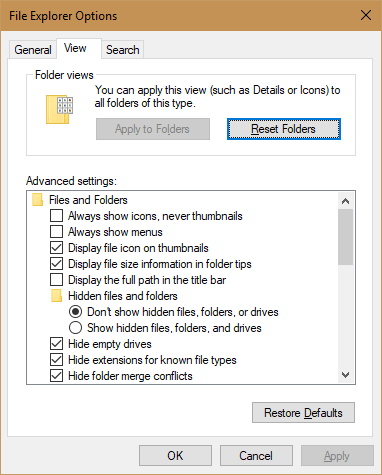 Most of the users take help of these ways to select multiple files in Windows 10. Lots of users reporting that they “Cannot select more than one file or folder in Windows 10“. In case you’re also facing the same issue, then following the step below you can troubleshoot the problem. In the start menu search bar type Folder options and when “File Explorer options” appear in the search result. Simply click to open it. Now try to select multiple files. I’m sure you will able to do that. You might love to read about how to view hidden files in Windows 10. So these are some of the possible ways on how to select multiple files in Windows 10. I hope you find my this article useful.